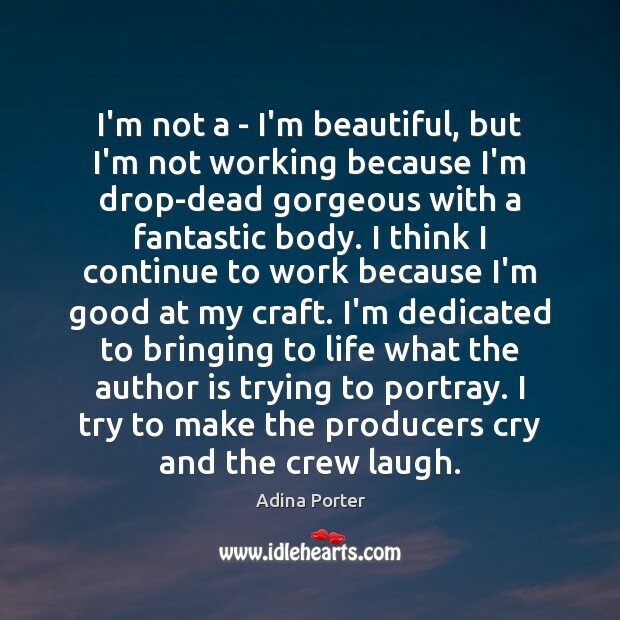 Enjoy the best inspirational, motivational, positive, funny and famous quotes by Adina Porter. Use words and picture quotations to push forward and inspire you keep going in life! 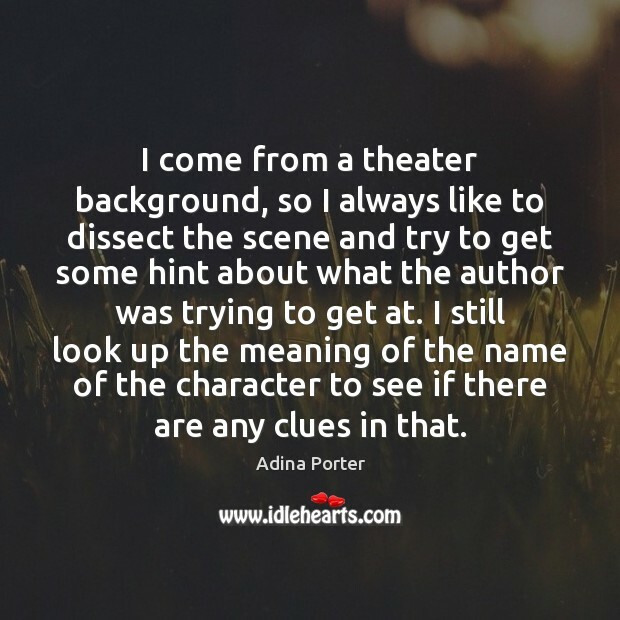 I come from a theater background, so I always like to dissect the scene and try to get some hint about what the author was trying to get at. I still look up the meaning of the name of the character to see if there are any clues in that. I don't strive for balance. 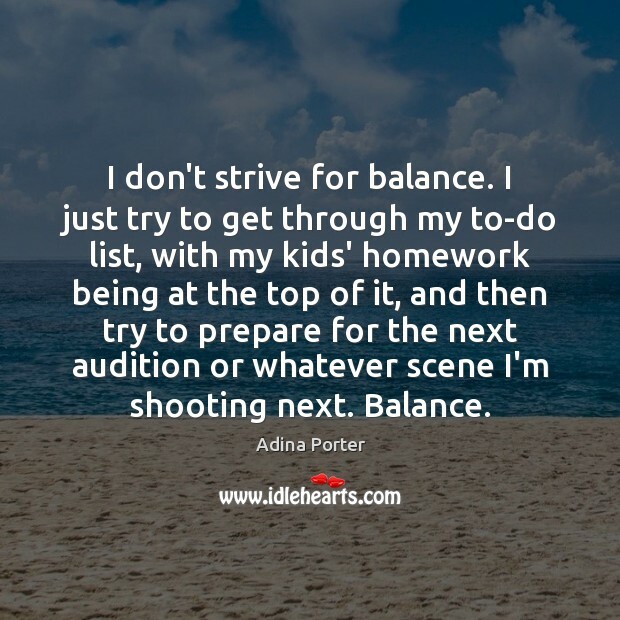 I just try to get through my to-do list, with my kids' homework being at the top of it, and then try to prepare for the next audition or whatever scene I'm shooting next. Balance. I'm not a - I'm beautiful, but I'm not working because I'm drop-dead gorgeous with a fantastic body. I think I continue to work because I'm good at my craft. I'm dedicated to bringing to life what the author is trying to portray. I try to make the producers cry and the crew laugh. I work out. I used to go to yoga every day. 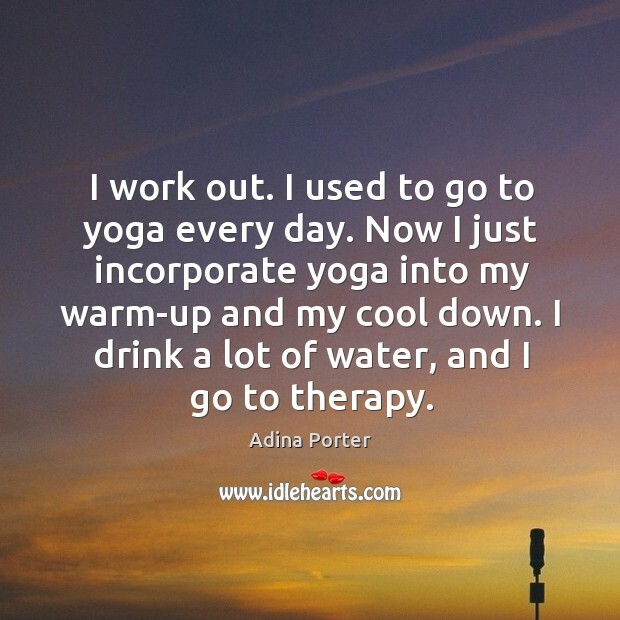 Now I just incorporate yoga into my warm-up and my cool down. I drink a lot of water, and I go to therapy. A new thing I've been doing is just making sure I clear off my desk and try to only touch a piece of paper once, so I get the mail, open it up, deal with it then. My son's homework, or what I get from his teachers, the same way. 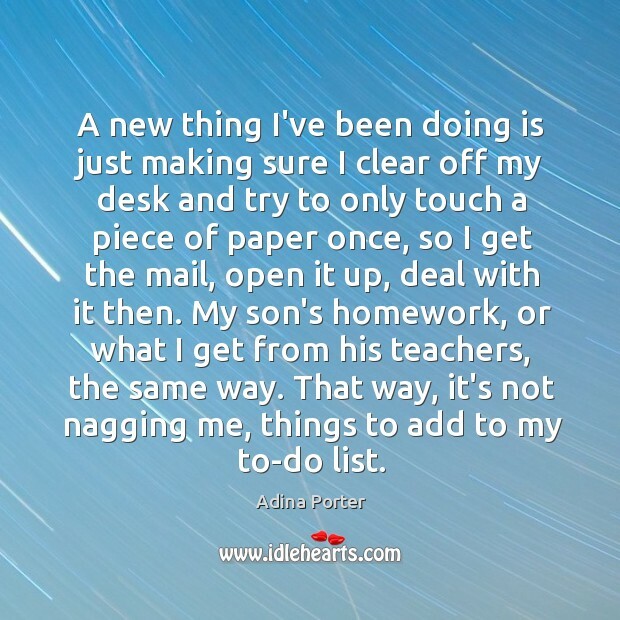 That way, it's not nagging me, things to add to my to-do list.